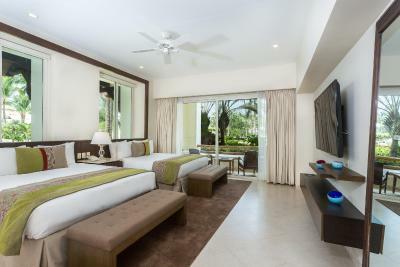 Lock in a great price for Grand Velas Riviera Nayarit – rated 9.4 by recent guests! One of our top picks in Nuevo Vallarta.This all-inclusive resort in Nuevo Vallarta and AAA Five Diamond Award winner located right on the beach overlooking Banderas Bay, offers luxurious suites as well as first-rate services and facilities, just 15 minutes' drive from Puerto Vallarta. 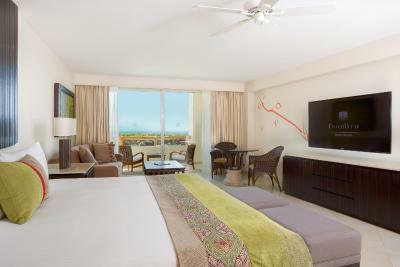 Grand Velas All Suites & Spa Resort features spacious suites and private terraces with stunning views of the ocean. Guests will enjoy goose down comforters and a pillow menu. After showering using deluxe bath products, guests can relax with a beverage from the fully stocked mini-bar. Free Wi-Fi connection is available in all areas. Guests can spend the afternoon beside the pool or at the beach and be refreshed by the resort's wait staff. 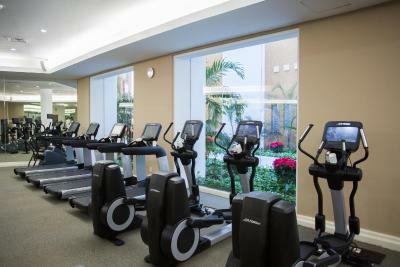 After going kayaking or taking a Pilates class, guests can feel pampered with a massage at the full-service spa. In the evening, the resort offers a choice of 3 gourmet restaurants serving French, traditional Mexican and Italian-Mediterranean cuisine. Delicious cocktails and refreshing drinks prepared by professional bartenders, dance floor and 4K screens for exclusive sport events are available. Designed with a fresh and original look the Teen Club offers an array of amenities: Xbox Kinect, billiards and air hockey, deli bar and lounge area, karaoke and mini disco. 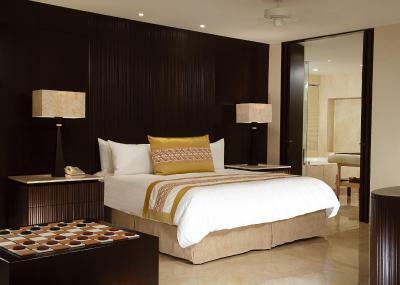 When would you like to stay at Grand Velas Riviera Nayarit? This suite features a spa tub in the bathroom and an a terrace with pool views. 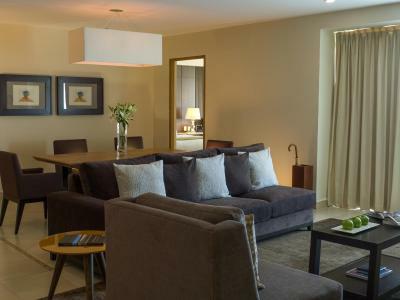 This suite features private terrace with hot tub, exercise bike, special soaps, Aromatherapy Kit, pillow and comforter designed for complete rest, and a personal Spa Concierge will provide counsel on a wide-variety of Spa treatments. This spacious suite is 1,865 sq ft, and features an outside hot tub on the terrace and an interior spa bathtub. 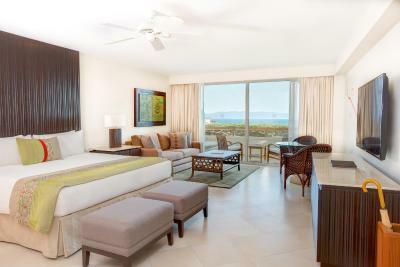 With stunning ocean views, the spacious Master Suites have a separate living room with a minibar and flat-screen cable TV. There is a queen bed in the bedroom. The private bathroom has a bathtub or hot tub, upon request and subject to availability. 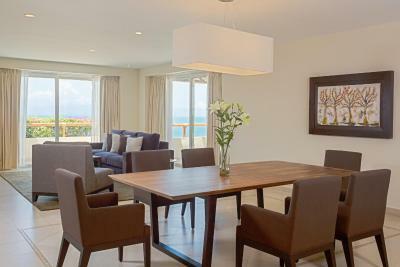 There is a private terrace overlooking Banderas Bay. This family room has a balcony, iPod dock and CD player. This suite has a balcony, sofa and hot tub. This family room features a balcony, hot tub and satellite TV. This suite has a balcony, DVD player and sea view. This suite features a balcony, patio and CD player. 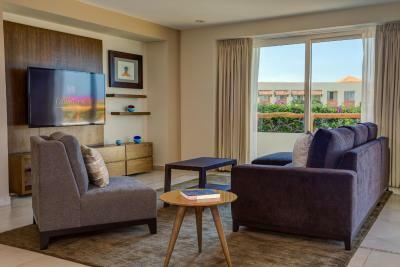 This suite has a balcony, air conditioning and executive lounge access. 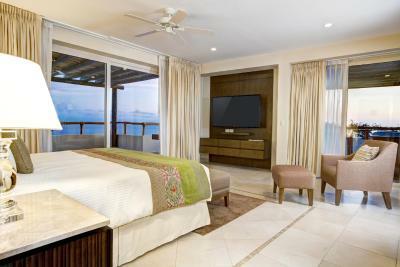 This suite features a balcony, executive lounge access and spa bath. Escape to our breathtaking all-inclusive resort on the Puerto Vallarta coast of Mexico. 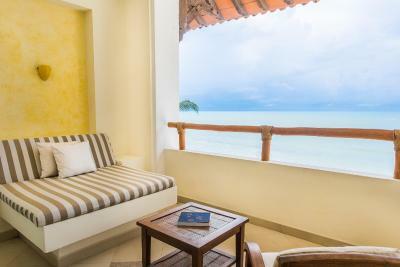 The blue waters of Banderas Bay, white sand beaches and green fairways will help you forget about city life. 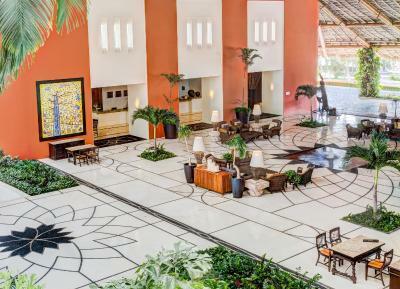 Reinventing the all-inclusive concept, Grand Velas offers a luxurious vacation experience with exquisite suites, lavish service and exceptional culinary experiences on the Riviera Nayarit. Embrace radiant sunsets, the rhythm of the ocean and the spirit of Mexico’s golden coast. Whether flying in for a business meeting, a golf getaway or a holiday at the beach, Grand Velas is the only all-inclusive resort in the Mexican Pacific awarded Five Diamonds by AAA. Beyond All Inclusive, Beyond All Compare. 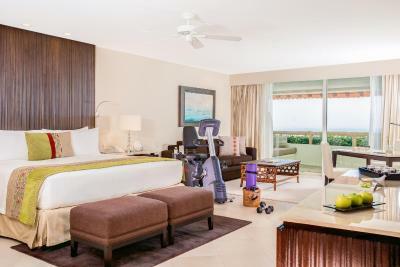 House Rules Grand Velas Riviera Nayarit takes special requests – add in the next step! Grand Velas Riviera Nayarit accepts these cards and reserves the right to temporarily hold an amount prior to arrival. 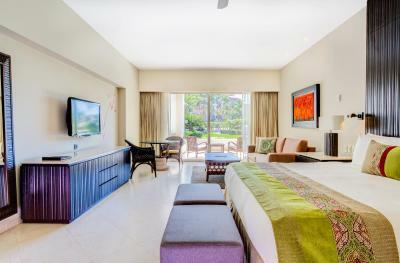 We have stayed at Grand Velas Riviera Maya and that was by far a superior property. Facilities here are not as nice. Service in the restaurants was quite poor. Staff would often bring wrong drinks and we would have to constantly ask for refills of all beverages. Very few people in the restaurants when we were there and still lots of confusion. All activities off property were a good distance away so not super convenient to leave to do other things without being gone a whole day. The only “adult” pool is an oversized hot tub that is too hot to spend much time in on warm days. The pebbles used in walkways and stairs around pool as decorative elements are quite painful and dangerous to walk on in bare feet and difficult to avoid. The friendliness and enthusiasm of the staff were excellent. The bed was comfortable. Pool staff were excellent. Beach was lovely. Sunsets were amazing. Occasionally services would be a bit slower than expected, and before we started using the do not disturb door hanger, we were getting a few too many knocks, but we were able to remedy this. The service across the board was above and beyond expectations. All of the staff was extremely friendly and willing to help ensure our stay was fantastic.